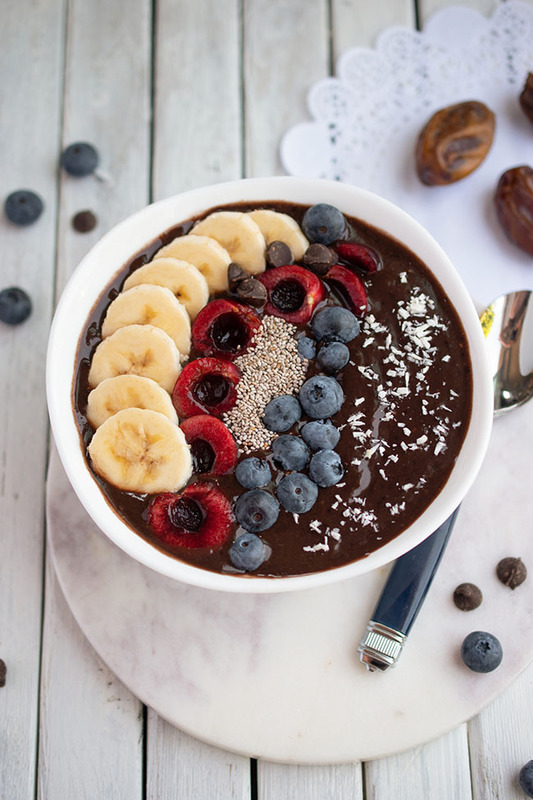 If you are anything like me, there are several areas of your home that could use a little organizing, a little refresh, a little pick-me-up, a little bulldozer... Organizing your living space, even with tips from Marie Kondo fresh in your mind, can be an overwhelming task. The only thing to do is take it one small step at a time. Yep, that's the "before" of my own linen closet. Painful to share with you and most certainly painful to use. All the different categories of linens had become mixed together and every time we reached for a towel or set of sheets, we would topple a whole stack. Not only that, but there were all kinds of items in there that should have been stored elsewhere or discarded completely (green fluffy toilet seat cover anyone?). I turned to Wayfair.ca to find the items I coveted to organize my linen closet. Anything you can dream up for your organization project - bins, baskets, over-the-door storage, shoe racks - can be found on Wayfair.ca. I poured over the offerings for a good hour or two, keeping in mind the items I wanted to store and the dimensions of my little linen closet. This was the most time-consuming part of the organizing project - the planning and ordering - I wanted to get it just right. Putting everything into the closet after that was super simple and took less than an hour. 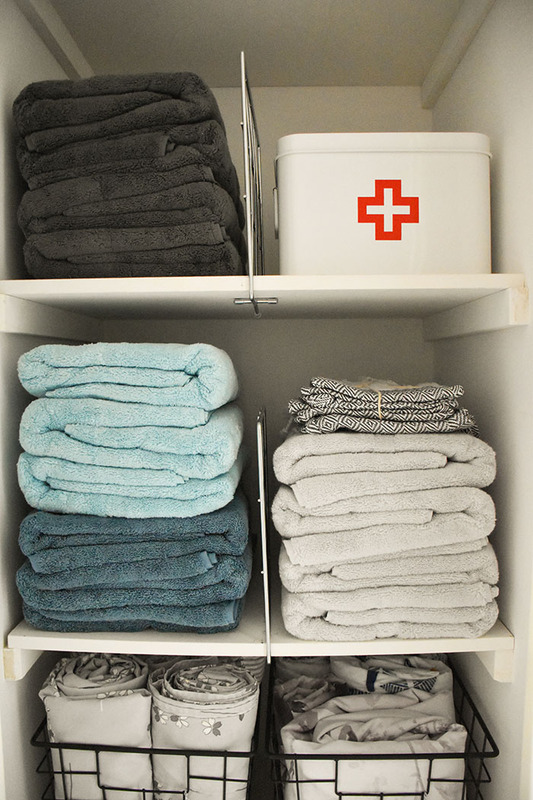 Sort linens into categories, such as bath towels, sheets, face cloths, etc. Donate items you no longer use. * This is key, because the less you have, the easier it is to organize and use! Relocate items that belong elsewhere in the house. Think about the best way to store and access the remaining items. You could use lidded baskets or jars to corral small, similar items like toiletries or dental care. Use shelf dividers to separate stacks of towels or sheets. 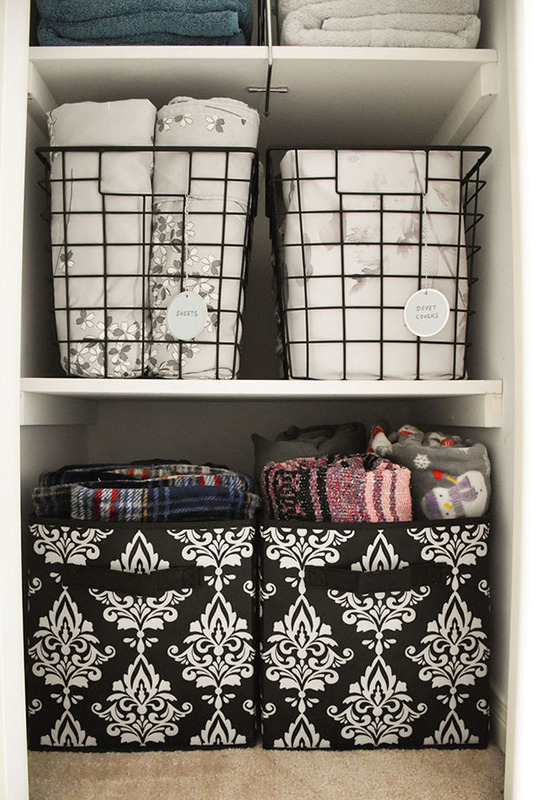 Use bins to hold larger items such as throw blankets. 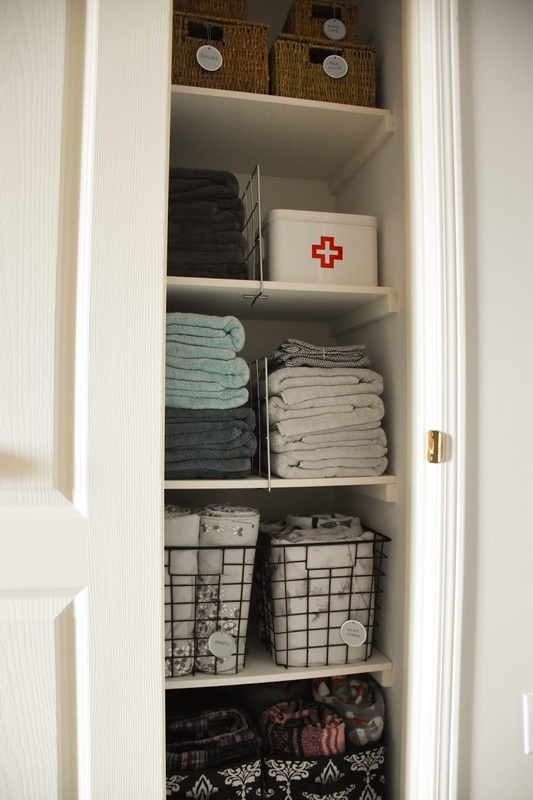 Be sure to measure your linen closet space and check the dimensions of baskets or bins before buying to ensure they will fit properly. 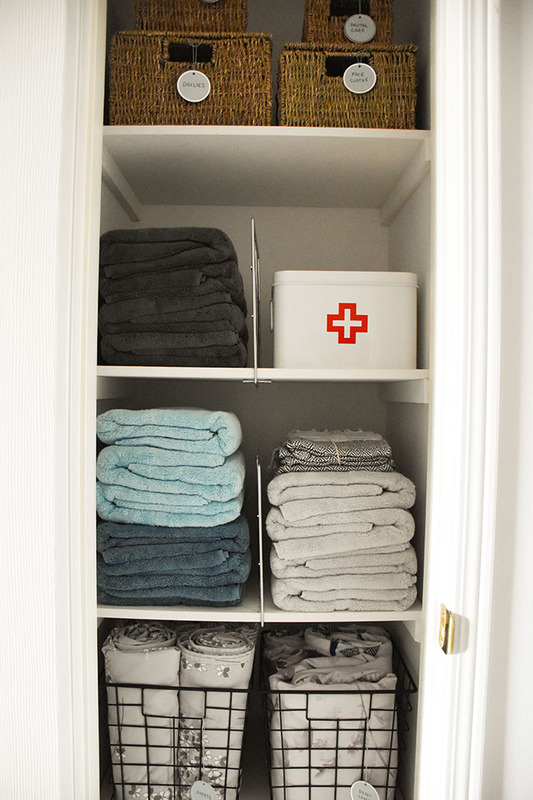 Fit the closet with any new storage items. 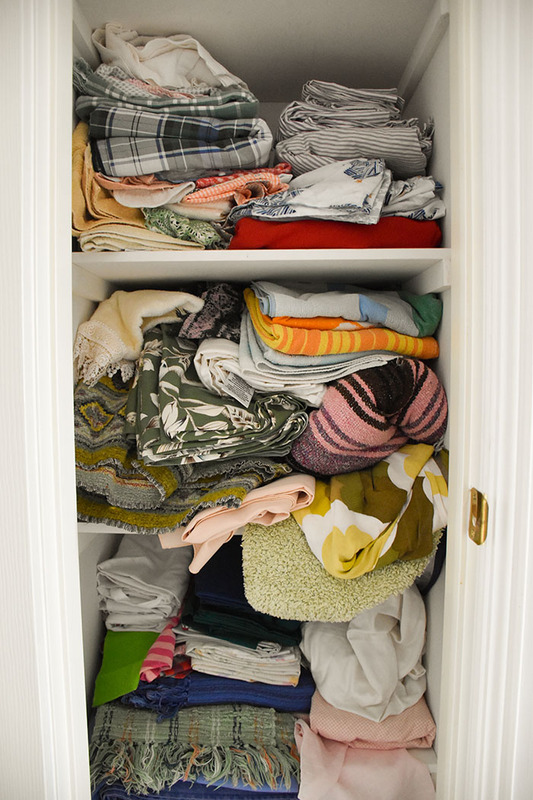 Fold your linens carefully and return them to the linen closet. You may wish to store items such as sheets all together or organize them by room. Keep the items you use most often on the most accessible shelves. 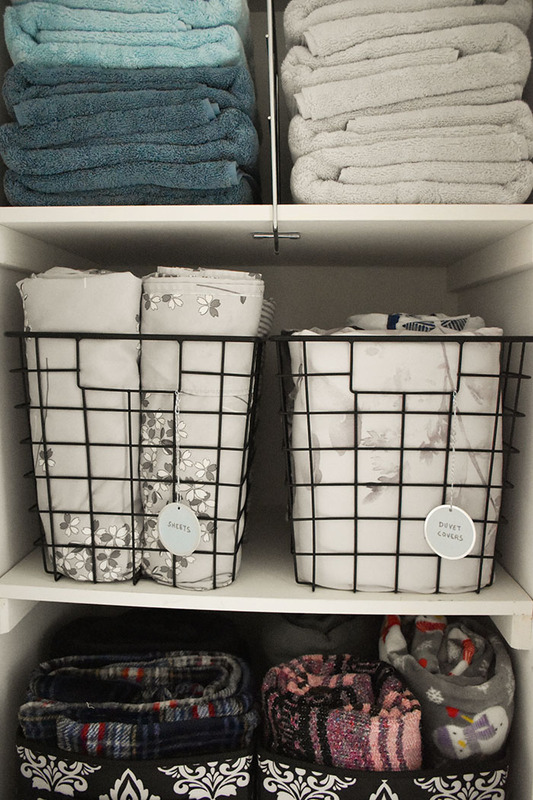 Label your baskets so you'll be more inclined to maintain your organizing system. Other optional steps include painting your closet and/or lining the shelves. My linen closet is still in pretty good condition and I didn't want to get bogged down in a "big" makeover so I chose not to paint or line shelves. It was actually a really nice feeling to overhaul a space so quickly and easily. 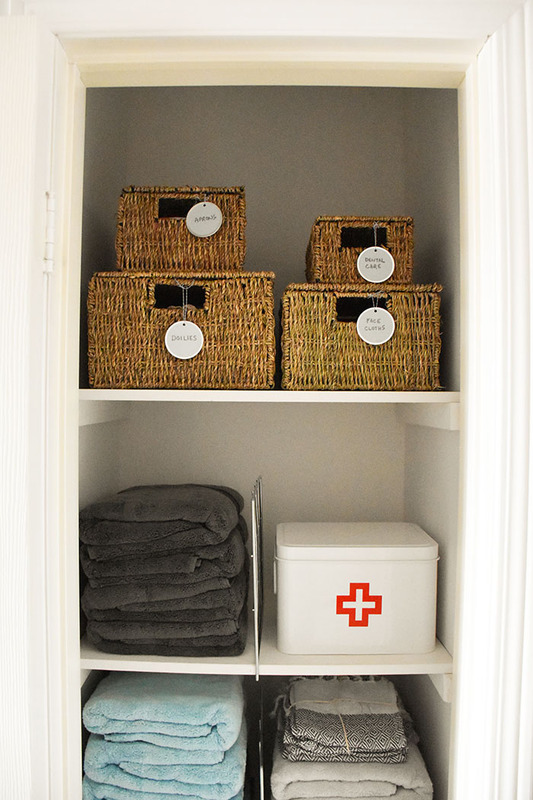 For my linen closet, I ordered a set of four seagrass storage baskets so that I could stack them and take advantage of some of the height of the top shelf. In the same vein, I sourced taller wire bins for one of the shelves in order to use some of the height between shelves. 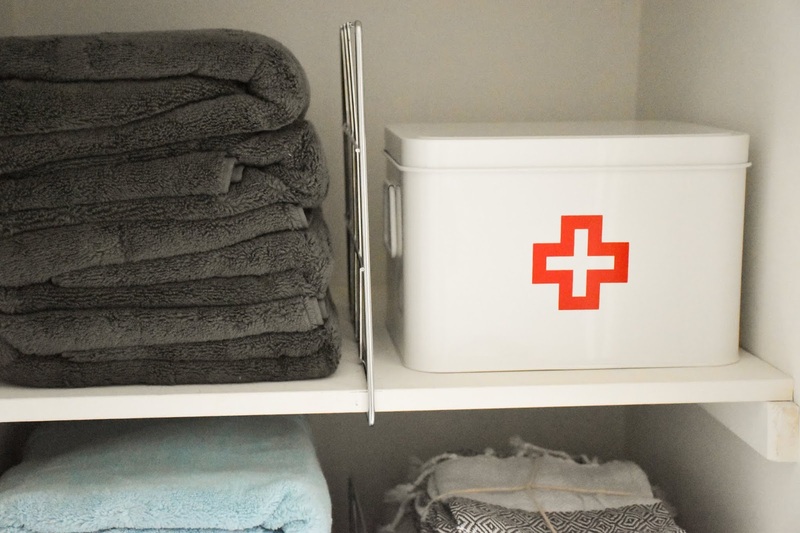 I ordered a fun medicine storage box for bandaids and the like and also to add a sense of fun to the closet design. It seems kind of silly but I actually enjoy looking at the closet now. (It was a real eyesore before!) 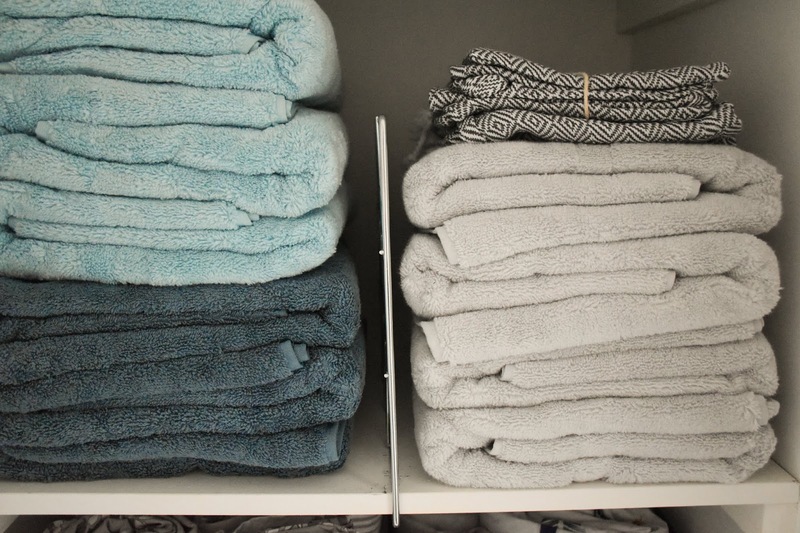 I chose a set of shelf dividers to keep stacks of towels from toppling on each other. And I chose inexpensive damask fabric drawers by ClosetMaid to place on the floor of the closet. They are ideal for holding throw blankets (which I rolled and inserted vertically in order to fit more of them in the space). In the end, very few of the items I pulled out of the closet went back in there. I donated several items, stored tablecloths in the dining room cabinet so they are handy for table setting and moved cloth napkins to a storage box in the basement near my food photography props (because I most often use them in photos). I keep cleaning products and tools in caddies in each bathroom and extra toiletries under the bathroom sinks. Overall, I try to keep things as close as possible to where they get used. 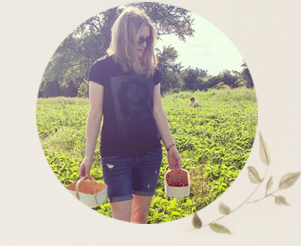 I hope my linen closet before and after story has provided you with some small inspiration. (Your closet can't be worse than my "before," can it?) I am thrilled with how the closet refresh turned out and I'm wishing all of our closets looked this good. (Baby steps.) I'm ready to move onto our next area in need of organization. And there are plenty of them to choose from! 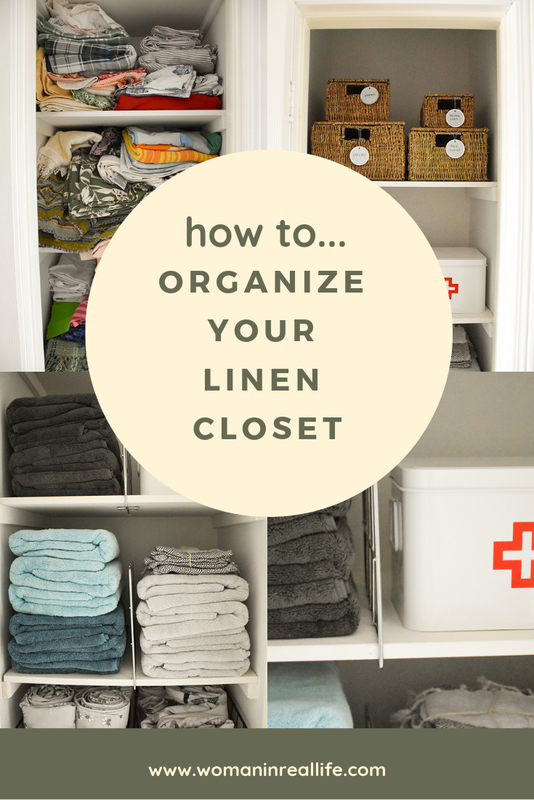 Does your linen closet need a makeover? What kinds of storage tools do you covet? What other areas of your home would you like to organize? Haha, totally understandable. We can't do it all. Thank you!!! It looks attractive and efficient! You’ve surely used that space to its maximum. I want the green toilet seat cover lol looks great Jo thanks for the tips and good job on your linen cupboard purchases.